Last Saturday the Potato Creek Bassmasters had our April tournament at Lanier. Dan Dupree won with 13 pounds and had big fish, Kwong Yu had 11 pounds for second, Lee Hancock was third with ten pounds and Niles Murray placed fourth with nine pounds. I wanted to go up early, so I made reservation at Van Pugh Campground, the closest one to where we would take off with an open campsite, but about 20 miles away by road. I did not realize until I got there Thursday afternoon the gate stayed locked until 7:00 – 15 minutes after blast-off for the club. Fortunately, a boat ramp is available in the campground. The first thing I did after launching the boat Thursday morning was to ride to Balus Creek ramp, where the tournament would be held. That left a track in my GPS I could follow in the dark Saturday morning. It took me about 15 minutes to make the trip at 30 miles per hour, about as fast as I would run in the dark, so it was seven to eight miles by water. Friday, I spent a lot of time looking for bedding bass. 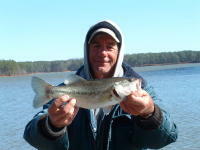 The clear water at Lanier makes it easier to see them but even with the good conditions I could not find any. I just could not see them. I did catch one three-pound spot under a dock on a whacky rigged worm. At a dock back in a creek I skipped a frog under a dock and watched a five to six pound largemouth come up and look at it. Then I saw one just as big right beside it. That excited me even though they did not hit. Saturday morning the ride up was dark but no problem. I went to two of my favorite points but never got a bite. Then I went to the dock where I had caught the three pounder the day before and landed a spot just under three pounds on a swim bait. At another dock a little later I got another two pounder on the swim bait. Then I went to the dock with the big fish and spent way too much time trying to find them, but never did. I caught two more keepers and several short fish on the whacky rig before time to quit. I ended up with four weighing just under eight pounds. The ride back to the campground took a lot longer that afternoon due to the big waves from all the sail boats and off shore yachts that plough Lanier during pretty weather. This entry was posted in Bass Fishing, Tournament Fishing on April 30, 2018 by ronniegarrison. Did you plant tomatoes of Good Friday as tradition says you should? Are they still alive? Growing up, we always planted a garden, a big one, supplying our family with most vegetables for the year. Mom canned or froze everything possible from it, so we ate good food year round. And she could cook anything and make it taste very good. I usually hated working in the garden, wanting to be fishing or running wild in the woods in the spring when we had to plant and during the summer during harvest time. But I surely did like eating the products of our labor. After my brother and I got married and moved away from home mom and dad continued the big garden and we helped a little when we could be there. Every visit home meant carrying frozen and canned goods back with us to eat until our next trip. When I bought my house in Pike County with enough land for a garden, I tried to have my own. My lot was nothing but trees, so I cut and cleared about a half-acre of it behind the house. I will never forget dad visiting soon after I got it cleared and tilled, and he commented that it looked like good dirt. That first spring I planted squash, tomatoes, corn, butterbeans, cucumbers and several other things. I got more squash than I could eat but, as the corn and butterbeans grew, we had a dry early summer and I found my well would not supply enough water to keep then alive. Watching things I had worked so hard to plant and weed wilt and die was terrible. So I gave up. After a few years I decided I had to have fresh tomatoes, so I crawled under the house, cut the shower drain and ran a pipe out from under the house to a small patch I had tilled. In it I planted eight tomato plants and four bell pepper plants. Every time we took a shower the water drained out to the plants and kept them watered. It worked great for several years then the plants started dyeing way too early. I realized I had to move the plot every few years so did that, and it worked until I ran out of places the drain pipe would reach. I want it around the back yard. That works well and I can move my tiny tomato and pepper garden around without running out of space. July 4th. Procrastination this year could be a good thing. Hopefully sometimes in July this year I will be eating tomato sandwiches from just picked tomatoes. Nothing is better! This entry was posted in Fishing Ramblings - My Fishing Blog on April 28, 2018 by ronniegarrison. I know I’m not alone in my adoration for the words produced by the outdoor humorist. To this day, I occasionally find myself using phrases from his books and back-page columns in Outdoor Life in conversation and giggling all over again. From his books ranging from They Shoot Canoes, Don’t They? to A Fine and Pleasant Misery (My favorite was The Night the Bear Ate Goombaw. I don’t think I’ve ever laughed so hard), he provided a source of outdoor artistry that motivated me and many others to get outside, uncover the mysteries of the outdoors and experience life away from the television. He was, in a sense, the Mark Twain of his generation, an unassuming, gifted writer who found humor behind every tree and under every rock. We should all be so lucky. This entry was posted in Fishing Ramblings - My Fishing Blog, Fishing With Family and Friends on April 27, 2018 by ronniegarrison. On Sunday, April 8, 11 members of the Flint River Bass Club fished our April tournament at Lake Sinclair. We landed 46 keepers weighing about 92 ponds. There were eight five fish limits and one fisherman zeroed. New club member Bubba Siren won with five weighing 15.10 and had big fish with a 5.35 pound largemouth. Doug Acree was second with five at 14.02 pounds, my five at 10.65 pounds was third and Chuck Croft placed fourth with five at 10.05 pounds. For me it was a tough day. At my first stop I was excited to see shad spawning in the grass and on a seawall, often a sign bass will be feeding. And I quickly got a hard hit on my spinnerbait, but it was a three-pound hybrid. Within a few minutes I landed two more that size. My luck got much better when I cast a chatterbait behind a dock. The wind took my line over the post, and as I started reeling it up to the post to try to get it off a nice bass hit. I was able to pull the fish completely out of the water against the post, use my trolling motor to ease over and get it. I could not believe it did not come off. Then it got tough. I fished several places for the next 90 minutes and caught a couple of small fish, but at 9:10 I cast the chatterbait to some boat house rails, got a good thump and caught my biggest bass, a 3.06 pounder. It took over two more hours with a few more short fish before A nice two pounder hit my chatterbait in a ditch, the kind of place I expected them to be. For the next two hours I fished places like that without a bite. I went to another cover where I have never caught a fish. With ten minutes left to fish another two-pounder hit my chatterbait on a seawall, giving me my limit. That I why I never give up and cast right to the last minute in tournaments! This entry was posted in Bass Fishing, Tournament Fishing on April 17, 2018 by ronniegarrison. This entry was posted in Bassmasters Classic on April 11, 2018 by ronniegarrison. Want to buy your kids or grandkids a BB gun, take them out in your back yard and teach them gun safety and shooting skills? Not in Spalding County unless you live in an AR-1 Zone if a proposed county ordinance passes. You could not even shoot a bow of any kind in your own yard. Spalding County proposes gun restrictions on law abiding citizens. The proposed ordinance as originally written, Section 11-1005, has many restrictions on shooing a gun in the county. You probably could not hunt on your own property if you have five acres or less, due to the distances shooting a gun is restricted from property lines. At least it exempts use of a gun for self-defense on your property. The hearing last Monday night did not get much attention until the last minute, and the ordinance was tabled until the first meeting in May, on May 7th. Apparently, some changes have been made to the original ordinance that restricts shooting firearms within 300 feet of a residence and 150 feet of a property line, but I have not seen the changes in writing. I am fortunate that my property in Spalding County is large enough that only one of my deer stands is near a property line, and that property is thickly wooded and grown over, with no buildings on it. Supposedly this ordinance is trying to address “inconsiderate neighbors.” There are already laws that address it. How about enforcing them rather than creating another law to harass neighbors that are not inconsiderate. In other news trying to harass gun owners and businesses. Citi Bank will not longer allow its customers to do any business related to guns. I will be mailing them my Citicard since I might be tempted to buy a gun or ammo with it. This entry was posted in Guns and Gun Control on April 10, 2018 by ronniegarrison. Catching fish like these in practice at the Clarks Hill Top Six gave me hope! A week ago last Wednesday I went to my place at Raysville Boat Club on Clarks Hill to practice for the Top Six tournament. I have no TV there and it was wonderful to escape the insanity of the world for six days. No talking heads babbling about how they have to take my guns to protect kids, no whining about the actions of a duly elected president, no stupidity about how words upset some people, so they need to be banned. The weather was not great for fishing. It was so cold and windy Thursday morning I did not go out until noon. While idling around looking at brush piles and trying to find schools of bait fish, I kept looking at the bank. The lake had come up about three feet and the shallows were full of dead weeds. At one shallow cove that was protected from the wind I decided to try fishing it. 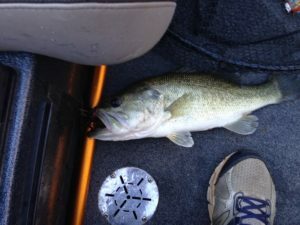 After just a few casts with a Chatterbait I hoked and landed a three-pound largemouth. I was surprised it was in two feet of water with the bright sun and hoped it was not a fluke I caught it. After fishing a couple more places like that without a bite I was afraid it was, but then I pitched a jig head worm to a tree top in a couple of feet of water back in a pocket. I thought I had a bite and when I tightened up my line in the wind I realized it was headed for deep water. When I set the hook my heart almost stopped when a big bass took off then jumped clear of the water. After two more jumps I managed to land a bass that weighed six and one quarter pounds on my scales. That made me feel pretty good there were some quality bass in shallow water, although the temperature was only 56 degrees. The first bass looked like a male, without the fat belly of a female this time of year. The big one was very fat, and her tail was bloody and raw, like she was fanning a bed. Many bass tried to bed a few weeks ago when the weather had been unusually warm so many days, but the cold weather made them back off. I tried a few more places without a bite before heading in. Friday morning was even colder and the wind blowing even more, but I got up and on the water as the sun came up. 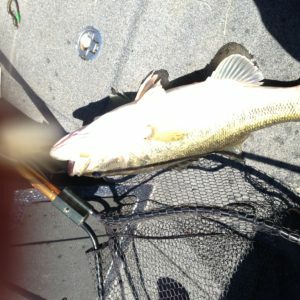 After trying two shallow coves with weeds I caught a bass a little over three pounds on the Chatterbait, strengthening my faith in that pattern. I fished some points and brush piles where the bass should be holding this time of year, waiting to go in and spawn, but got no more bites before giving up and heading to a warm place to take a nap about noon. Saturday was better, with little wind and much warmer. I fished several places where I had caught bass in the past under these conditions and hooked and lost one over four pounds and several smaller bass on the Chatterbait. I also lost one over three pounds on a crankbait and caught several on other baits. That make me think the bass were responding and moving into shallow water. 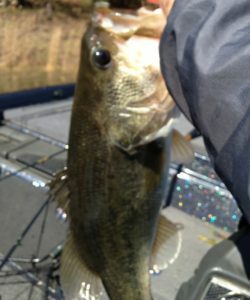 Sunday morning was colder, and I hooked only two bass in the weeds, but at least there were some still in them. When I headed in to get ready to go draw for partners I thought I could run a lot of shallow backouts with the Chatterbait, catch a quality bass out of a few and have a good limit after eight hours of fishing. 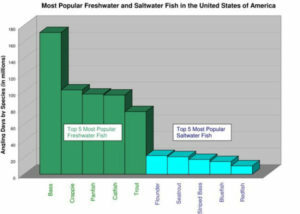 At the meeting I was told I would have an observer fishing with me Monday morning since there was an uneven number of boaters and no boaters. But the next morning, after meeting him and getting his stuff in my boat and lining up to launch, the tournament director called me. Another no boater had dropped out and they wanted me to leave my boat in the parking lot and go out as a no boater. would just go home and not fish, they finally made arrangements for the extra boater in the club that had a no boater back out at the last minute swap and take his place, I was the last boat to go out, about ten minutes behind everyone else. We made a 30-minute run in very rough water to the place I had caught the six pounder, but the wind was blowing right into it and it was almost unfishable. After three hours of not getting a bite trying the Chatterbait pattern I gave up and started fishing just to try to catch a keeper and landed four. With an hour left to fish I decided to try the Chatterbait one more place and hooked and lost a bass that looked like it weighed close to four pounds. In the very next pocket I landed a bass over 3.5 pounds. At weigh-in my five weighed 7.67 pounds and one of them was as heavy as the other four put together. The next day we again tried the Chatterbait pattern and my partner and I caught one each doing that, and each had four more keepers. The bass again didn’t hit the Chatterbait until there was only an hour left to fish. My five the second day weighed 8.64 and my biggest fish was about half of that weight. I ended up with 16.31 pounds and 41st place out of 130 fishermen, not the finish I had hope for! This entry was posted in Fishing Tackle on April 4, 2018 by ronniegarrison.